Draft: 1999, Texas Rangers, Cth rd. Colby Preston Lewis…he and his wife, Jenny, have a son, Cade Preston (March 18, 2007), and a daughter, Elizabeth Grace (April 13, 2011), and care for their nephew Jett Oliver (April 15, 2008)… hobbies include hunting and fishing…has rebuilt several vintage automobiles, including a 1963 and 1964 Chevy 2 Novas and a 1960 Chevy Impala…has a Go Kart track in back yard at his home in Bakersfield, and follows NASCAR…favorite team growing up was the Los Angeles Dodgers and currently follows the San Francisco 49ers. The veteran led the Rangers in wins, innings and starts (tied)…went 17-9 with a 4.66 ERA (106 ER/204.2 IP) in 33 games/starts for Texas, career highs in wins, innings, and starts…ranked among A.L. leaders in starts (tied for second), fewest BB per 9 innings (fourth, 1.8), wins (fifth), winning pct. (eighth, .654), quality starts (tied for eighth, 20), and fewest pitches per innings (11th, 15.5)…had 20.9% of his pitches put in play, fourth-highest pct. in the A.L…his 6.20 run support average was second-highest in the A.L. (Mark Buehrle-6.89) and highest for a Ranger since Derek Holland's club-record 7.64 RSA in 2011…266 flyballs induced on the season were most in MLB…finished with highest ERA by a 17-game winner since Tim Wakefield (4.76) for the 2007 Red Sox…ended year among A.L. highs in allowing runs (second, 114), earned runs (second, 106), hits (fourth, 211), and HR (eighth, 26), and was tied for sixth in A.L. with 11 hit batsmen. Led the Rangers in starts (29), innings (170.1) and wins (tied-10), and ranked 2nd on the staff in strikeouts (133) and quality starts (11)...after not pitching in the majors for 21 months due to elbow and hip surgeries, did not miss a turn after being added to the rotation in mid-April...led the A.L. with career high 14 losses, most by a Ranger since Kevin Millwood (14) in 2007...was first Ranger ever to lead A.L. in losses outright...the only other time a major league (dating to 1876) had seen its league leader in a full season (excluding 1981 and 1994) have so few losses came in the A.L. in 1951, when 6 pitchers tied for most with 14…his 5.18 ERA was the 2nd highest among ML qualifiers (BOS' Clay Buchholz, 5.34), the 6th highest in club history and highest since John Burkett (5.68 in 1998)...had highest opponents' batting average (.304) and 2nd-highest WHIP (1.52) among MLB qualifiers. - a ND on May 20 vs. San Antonio (2 ER/2.1 IP) - and Round Rock - loss on May 25 vs. Memphis (3 ER/4.0 IP) - before soreness in right elbow shut down his rehab…was transferred to 60-day DL on June 6…then made 4 rehab starts for Frisco between July 17 and Aug. 3, going 0-1, 6.89 (12 ER/15.2 IP)…last outing was a no decision on Aug. 3 vs. San Antonio (2 ER/5.0 IP) before he was slated for hip surgery…overall was 0-1, 7.00 (14 ER/18.0 IP) in 5 starts at Frisco and 0-1, 9.00 (6 ER/6.0 IP) in 2 starts at Round Rock. The Rangers' Opening Day starter, Lewis went 6-6 with a 3.43 ERA (40 ER/105.0 IP) in 16 starts before his season was cut short due to injury...had a 1.076 WHIP that was lowest figure of his career, and ratio of 6.64 strikeouts-per-walk was his best in any ML season...team was 8-8 in his starts...his 10 quality starts ranked 4th on the staff despite missing half the year...opponents batted .245 (99-404), with RHB at .236 (41-174) and LHB at .252 (58-230)...11 of his 16 HR allowed came on the road...went 0-2 in 4 starts vs. A.L. West clubs despite a 1.71 ERA (5 ER/26.1 IP)...beat Houston twice and is 3-0, 1.26 (4 ER/28.2 IP) in 4 starts vs. Astros the past 2 seasons...TAKE A WALK: Issued walks in team-low 3.3% of plate appearances against...was the first pitcher in Texas history to issue as few as 14 walks in 100+ innings, first in the majors to pull the trick since Milwaukee's Ben Sheets in 2006...issued multiple walks in just 3 of 16 starts, and permitted free pass to a right-handed batter only 3 times in 180 plate appearances...issued just one walk to lead off an inning all year...SUMMARY: Made first career Opening Day start on April 6 vs. CWS, giving him starts in all 5 season-opening rotation slots in his career...tied Nolan Ryan's club record for Opening Day strikeouts (9) in earning win that day...went a career-high 25.2 innings without issuing a walk, April 6-28, the 6th-longest streak in Rangers history...was 3-0 with a 1.93 ERA (7 ER/32.2 IP), 29 strikeouts, and 4 walks in 5 April starts, ranking among A.L. leaders for April in ERA (2nd), strikeouts-to-walks ratio (1st, 7.25), and walks-per-nine-innings (2nd, 1.10)...recorded a career-high 12 K's, but also allowed a career-high 5 HR in loss May 10 at Baltimore (G1)...became the first pitcher in ML history to allow at least 5 HR while recording 10+ K's in the same game...all 5 hits he allowed were HR, making him the 5th pitcher since 1918 to allow at least 5 hits in a game with each hit going for a HR...permitted 3 consecutive HR to open the game, then retired the next 18 batters...allowed one run over 8.0 innings May 20 at Houston and helped his cause by going 2-for-4 with 2 RBI, his 2nd career 2-hit, 2-RBI game (June 13, 2010 at Milwaukee)...he was the first A.L. pitcher with multiple 2-hit, 2-RBI games in Interleague play (1997-2012)...his 4 career RBI are the most ever by a Rangers pitcher...pitched consecutive complete games for the first time in his career June 6 at Oakland (8.0-inning loss) and June 12 vs. Arizona (9.0 IP, 4 H, 1 R-ER, 7 SO)...against the D-Backs, took a perfect game bid one out into the 6th...on June 17 vs. Houston, had 10 K's in 7.0 innings to win. Ranked 2nd on the staff in innings (200.1), strikeouts (169),and starts (32-tied), was 3rd in complete games (2), and tied for3rd in wins (14), the latter tied for 13th in the A.L....had career bestsfor wins and complete games while matching high for starts...his4.40 ERA was 10th highest among league qualifiers...topped theA.L. in homers allowed (35), the 2nd-most in the majors behindCincinnati's Bronson Arroyo (44)...were the 6th-most allowed byRanger in a season, highest total since Rick Helling (38) in 2001...permitted long balls in each of season's 1st 7 starts, longest tobegin a season in team history (Opening Day rotation membersonly)... opponents batted .244 (187-767)...held right-handed batters to a .204(68-333) average, 7th-lowest in the A.L., 70 pointslower than against lefties (.274, 119-434)...totaled 19 quality starts,including career-best 5 straight from April 30-May 21. Spent entire season in rotation, going 12-13 with a 3.72ERA (83 ER/201.0 IP) in 32 games/starts for Texas ... team went14-18 in his starts, as Lewis had a loss (6) or no-decision (5) in 11of his 20 quality starts in 2010 ... all other Rangers had 20 combinedlosses(4)/no-decisions(16) in quality starts ... establishedmajor league single-season highs in wins, innings, starts, andstrikeouts ... the innings, start, and strikeout totals were his mostin any season as a professional (incl. Japan), while only seasonwith more wins was 15 with Hiroshima in 2008 ... last season alone,he surpassed what was his career MLB strikeouts total entering2010 (155), and nearly bested previous overall MLB career totalsfor wins (12), innings (217.1), and starts (34). Led the NPB Central League with 186 strikeouts and ranked among the league leaders in wins (T7th, 11), ERA (8th, 2.96), andinnings (8th, 176.1) in his second season at Hiroshima...led the Carp in wins, had the second lowest ERA and tied for second in completegames (2)...opponents batted .236...started the season 1-1, 6.39 (9 ER/12.2 IP) in 3 games/2 starts...was deactivated on April18 due to paralysis of the facial nerves on his right side...returned to active roster on May 2 and posted a 2.69 ERA over final 26starts...was 3-0, 1.91 (7 ER/33.0 IP) over 5 starts from July 20-August 14 and won his final 2 starts of the season (1 ER/14.0 IP),Sept. 30-Oct. 5...issued 3 hits and one run in a CG win on July 8 vs. Hanshin and pitched a 5-hit CG SHO on Sept. 9 atYakult...worked 6 or more innings in 20 of 28 starts and allowed more than one walk only 4 times...fanned season high 10 battersthree times and had 9 strikeouts on four other occasions...hit 14 batters...at the plate hit 3 homers as DH is only used in interleaguegames by the NPB Central League. In his first NPB season, topped the Central League with 183 strikeouts, 20 more than any other pitcher...ranked second in ERA(2.68) and wins (15) and pitched the fourth most innings (178.0)...issued just 27 walks, including 5 in final 47.0 innings over last 6starts...held opposition to .232 batting average, .200 (69-345) by RHB...was 8-3, 2.28 in 13 home starts...won 5 straight starts with2.19 ERA (9 ER/37.0 IP), May 24-June 15...had a pair of CG SHO, 6-hitter on May 1 at Yomiuri and 4-hitter on Sept. 27 vs.Yakult...recorded 10 or more strikeouts 4 times with season best 13 on June 4 at Yokohama....worked at least 7.0 innings in 19 of26 starts including 14 straight outings, April 9-June 15...received just 2.4 runs per start...did not pitch between July 4 and August 20due to right forearm tendinitis. Split his season between Oakland and Triple-A Sacramento and had twostints with the A's...was 0-2 with a 6.45 ERA in 26 games, one start, withthe A's and 8-3 with a 1.88 ERA in 15 starts with the River Cats...is now12-15 with a 6.71 ERA in 72 career outings in the Majors...the ERA issecond highest among Major League pitchers with 200 or more inningspitched in the post-World War II era (Mike Johnson, 6.85 from 1997-2001)...his 26 games pitched with the A's matched his career high from2003 with Texas...allowed a .293 opponents batting average, which includeda .255 (27 for 106) average against right-handed hitters and .386(17 for 44) against left-handers...yielded seven doubles and two homeruns to left-handers for a .682 slugging percentage...his .361 opponentson-base percentage was a career low...allowed a .349 average with runnersin scoring position and .225 with the bases empty...allowed five ofhis seven home runs with runners on base...opponents hit .203 over his 15pitches in a game and .370 after that...compiled a 3.86 ERA and .254opponents batting average in 13 outings in Oakland and had an 8.44 ERAand .322 opponents batting average in 13 appearances on the road...didnot commit an error in 26 games and has no errors in 72 career games...firstbatters faced were 3 for 21 (.143) with two walks in his relief appearancesbut he allowed 11 of 21 (52.4%) inherited runners to score...was 5-1 witha 2.31 ERA in eight starts at Sacramento when he was selected by the A'son May 22...started that night at Chicago and allowed 10 runs on 12 hitsand two walks in 3.1 innings in the A's 10-4 loss...the runs and hits wereboth career highs and it was just the eighth time in Oakland history a pitcherallowed at least 10 earned runs in a game...was moved to the bullpenfollowing that game and posted a 4.46 ERA and .248 opponents battingaverage in his 25 relief appearances...is now 11-12 with a 7.15 ERA (133 er in 167.1 ip) in 34 career starts and 1-3 with a 5.22 ERA (29 er in 50.0 ip)in 38 relief appearances...did not allow a run in his first 10 relief appearancesfrom May 26 to June 14 (10.0 ip, 2 h, 0 bb, 5 so) and held theopposition to a .067 batting average...retired an A's season high 24 consecutivebatters from June 1 to 17...that was the longest streak by an A'spitcher since Mike Mohler retired 27 in a row from April 15 to 28, 1996...itwas the third longest in Oakland history by a reliever...the streak came toan end on June 17 against St. Louis when he allowed four runs on four hitsin 1.0 innings and took the loss...allowed at least one run in seven consecutivegames from June 17 to July 6 and allowed 14 runs total over thatspan for a 10.32 ERA and .377 opponents batting average...tossed a scorelessinning of relief on July 13 at Minnesota but was designated for assignmenton July 16 and sent outright to Sacrament on July 19...was 0-2 withan 8.06 ERA in 19 games with Oakland during his first stint...went 3-2with a 3.40 ERA in seven starts with Sacramento in July and August andwas brought back to Oakland on August 29...posted a 3.00 ERA in sevenrelief appearances in September...tossed 4.0 innings on September 9 atTexas, his longest outing ever as a reliever...his 1.88 ERA at Sacramentowas the best among River Cats pitchers with 25 or more innings...tied forsecond on the staff in wins (8) and was third in strikeouts (97)...walkedjust 23 for a strikeout to walk ratio of 4.22...allowed just eight home runsor one per 12.0 innings...opponents hit .202, which included .190 (28 for147) by left-handers and .210 (42 for 200) by right-handers...allowed sixof his eight home runs against righties...his opponents average dropped to.167 with runners in scoring position...was 7-0 with a 1.59 ERA in ninestarts on the road compared to 1-3 with a 2.31 ERA in six starts at home...theRiver Cats were 12-3 in his starting assignments...tossed seven or moreinnings in six of his 15 starts, allowed two runs or fewer 11 times andwalked two or fewer 11 times...was the losing pitcher in his first start onApril 8 against Tacoma but then put together a seven-game winning streakover his next 10 Triple-A starts from April 13 to August 2...had a 1.84ERA and .179 opponents batting average during the streak...struck out aseason high 12 batters in 6.0 innings on April 23 against Las Vegas...hadthree straight 10 strikeout games on August 8 against Oklahoma, August14 at Portland and August 20 at Tacoma and had more strikeouts thaninnings pitched in seven of his 15 starts. Enjoyed two stints with DET sandwiched around 24 starts with Toledo of the Triple-A International League...tossed 147.2innings after missing the entire '05 campaign with a sore right shoulder...posted a 3.70 ERA in 18 starts before the All-Star break and a 5.03 ERA in 6 starting assignments thereafter...had contract purchased by DET on July 26, but didnot appear before being optioned to Toledo, July 29...returned to DET August 21, and made 2 appearances for DET. Lewis, claimed off waivers from Texas following the 2004 season, spent the entire 2005 season on the disabled list. Originally recovering from rotator cuff surgery conducted in May 2004, he began throwing again in the summer before being diagnosed with more shoulder problems which required additional surgery. Season was cut short after undergoing right rotator-cuff surgery on May 19...procedure was performed by Dr. John Conwayin Fort Worth, TX...made 3 starts for TEX, before being placed on the 15-Day DL April 18 (right shoulder tendinitis). Finished second on the staff in wins (10), starts (26) and innings (127), and ranked fourth in strikeouts (88)...led all American League rookies in wins and had the second-highest winning percentage (.526), going 6-2 in his final 9 starts of the season...opened the year in the Rangers rotation and was 3-0, 4.43 in his first 4 starts through April 20...the first Texas rookie starter to begin April at 3-0 or better since Rick Helling went 3-0 in first 5 starts in 1994...streak ended with a loss on April 25 vs. New York, the beginning of 0-3, 12.31 (31 ER/22.2 IP) span over 6 starts...1-5, 11.37 (48 ER/38 IP) in next 10 starts after 3-0 start, working 4 or fewer innings 6 times in that span...optioned to Oklahoma (AAA) June 13 at 4-5, 8.80 in 14 overall starts...recalled on July 26 and was 0-2, 6.06 (11 ER/16.1 IP) in first 3 games, increasing losing streak to career-high 4 consecutive decisions...won next 2 starts (6 ER/12.2 IP), ending loss streak with victory on August 10 at Toronto...dropped his final 2 starts in August (12 ER/7 IP), then was 4-0, 4.55 (15 ER/29.2 IP) in 5 September starts...tied team record for wins in a month by a rookie (R.A. Dickey in August, 2003) and was the longest winning streak of major league career...worked 6 or more innings 10 times with long of 7.2 frames, August 15 vs. Chicago...retired 15 consecutive batters in start on September 20 vs. Anaheim...6-1 in 8 starts versus AL West teams...opponents batted .317, .320 (90-281) vs. left-handed batters and .312 (73-234) against right-handers...ranked 10th in the AL with walks (70) with career-high 8, April 10 vs. Oakland...his 7.30 ERA was the second-highest in team history (100 or more IP) behind Darren Oliver (7.42 in 108 IP) in 2000 and was highest in major league history by a pitcher with at least 10 wins...Texas was 15-11 in his 26 starts...his 10 victories were the most for a Ranger rookie since Danny Patterson (10) in 1997 and was the sixth time a Texas first-year pitcher won at least 10 games...ranked fourth among AL rookies in starts and innings and tied for fourth in strikeouts...made the most starts by a Texas rookie since Kevin Brown (28) in 1989...fanned career-high 10 batters on August 15 vs. Chicago in win over Esteban Loaiza...first Texas pitcher to record at least 10 strikeouts in a game since Loaiza (10), April 16, 2000 at Cleveland, a span of 595 games, the second-longest in team history...first Texas rookie to accomplish feat since Edwin Correa (10), October 4, 1986 vs. California...appeared in 7 games (all starts) at Oklahoma and was 5-1, 3.02 (16 ER/47.2 IP)...held opponents to .208 average (36-173) including .189 (14-74) vs. left-handers and .222 (22-99) vs. right-handers...in 4 starts in July went 3-0, 2.36 (7 ER/26.2 IP)...struck out 11 in final start at New Orleans on July 19...pitched 6 scoreless innings in win vs. Memphis on July 3...with runners on base, opponents batted .117 (9-77). Made 15 appearances (4 starts) and was 1-3, 6.29 for Texas...1-2, 7.82 (11 ER/12.2 IP) in 11 relief appearances and 0-1, 5.40 (13 ER/21.2 IP) in 4 starts over 3 stints in his rookie year with the Rangers...allowed a run in 5 of 11 appearances out of the bullpen...permitted one of 7 inherited runners to score with first batters batting .444 (4-9)...0-2 in save opportunities...opened the year in the Texas bullpen with major league debut coming in season opener on April 1 in Oakland...posted a 7.37 ERA (6 ER/7.1 IP) in 5 appearances and was optioned to Oklahoma on April 15...recalled on June 25...1-2, 8.44 (5 ER/5.1 IP) in 6 games, recording first major league win on July 4 against Tampa Bay...returned to Oklahoma on July 19...promoted again on September 9 and entered the rotation, going 0-1 in 4 starts...longest outing was 7+ innings in a no decision in first big league start, September 11 vs. Seattle...fanned high of 5 batters in consecutive starts, September 16 at Seattle and September 21 at Oakland...lost his final 3 decisions...opposition hit .304, .320 (24-75) by left-handers and .286 (18-63) by right-handed batters...led Oklahoma in starts (20) and ranked fourth in innings (106.2) and strikeouts (99)...1-5, 4.64 (28 ER/54.1 IP) in first 11 starts through June 11...0-1 in first 4 outings before defeating Las Vegas on May 8, then went 0-4 in next 6 starts...3-1, 2.74 (14 ER/46 IP) in 8 games in second stint at Oklahoma, winning his last 3 starts...opponents batted .245 (100-408)...allowed 2 or fewer runs in 13 of 20 starts...fanned season-high 10 batters, May 13 vs. Fresno...issued just 4 homers in 106.2 innings...starter and loser in Game 2 of PCL playoff series against Salt Lake City...pitched first half of season for Azucareros in the Dominican Republic, going 1-4, 4.76 in 5 appearances. Led the Texas organization in strikeouts (170) and tied for 1st among minor leaguers in wins (11)...Was bothered by right shoulder soreness in spring training and started season in extended spring program...Was assigned to Charlotte and defeated Dunedin in only appearance on April 16, retiring all 13 batters faced in 4.1 innings of relief with 8 strikeouts...Was promoted to Tulsa the following day and went on to rank 4th in the Texas League in strikeouts (162), 11 shy of the league lead...Topped the circuit in hit by pitches (16) and wild pitches (16) and was 5th in walks (62)...Led Tulsa in wins (10) and strikeouts and was 2nd in starts (25) and innings (156)...Pitched in Texas League all-star game. Produced a 0.93 era (1 er/9.2 ip) in 1st 2 starts with the Drillers to win Rangers' April minor league pitcher of the month honors, going 2-0, 0.64 (1 er/14 ip) in 3 overall games...Was 2-1, 2.58 (11 er/38 ip) in 1st 7 starts with Drillers through end of May...Went 3-1, 3.19 (11 er/31 ip) in last 4 outings, including 5-hit, 9-inning complete game in final start on Sept. 1 at Wichita...Worked 7 shutout frames to win at Round Rock on Aug. 17...Fanned 8 or more batters 7 times with highs of 12 on July 27 at Wichita and 11 on June 26 vs. Midland...Worked 6 or more innings in 17 of last 21 starts...Opposition batted .253 (150-594) at Tulsa...Was 8-3 on the road but just 2-7 at Drillers Stadium...Was scheduled to pitch for Peoria in Arizona Fall League but was held out as precaution due to tender right shoulder...Is expected to be ready for spring training. Was among the Florida State League leaders in strikeouts (2nd, 153), complete games (T2nd, 3), wins (T4th, 11), and innings (4th, 163.2) at Charlotte...Topped Rangers in innings and strikeouts, tied for 1st in starts (27) and complete games, and ranked 2nd in wins...Pitched in FSL all-star game...Pitched 4-hit cg sho with 10 strikeouts in season's final start on Aug. 31. Had the Appalachian League's second lowest ERA (1.95) atPulaski (rookie) in first pro season...finished among Rangers' staff leaders in wins (T2nd, 7), strikeouts (3rd, 84), and innings (4th,64.2)...pitched a one-hit CG SHO on August 23...fanned 24 batters in last 2 starts. November 3, 2016 RHP Colby Lewis elected free agency. September 11, 2016 Texas Rangers activated RHP Colby Lewis from the 60-day disabled list. September 5, 2016 Texas Rangers sent RHP Colby Lewis on a rehab assignment to Spokane Indians. August 23, 2016 Texas Rangers sent RHP Colby Lewis on a rehab assignment to Frisco RoughRiders. June 25, 2016 Texas Rangers placed RHP Colby Lewis on the 15-day disabled list retroactive to June 22, 2016. Strained right latissimus dorsi muscle. January 18, 2016 Texas Rangers signed free agent RHP Colby Lewis. November 2, 2015 RHP Colby Lewis elected free agency. December 16, 2014 Texas Rangers signed free agent RHP Colby Lewis. October 30, 2014 RHP Colby Lewis elected free agency. April 14, 2014 Texas Rangers selected the contract of Colby Lewis from Round Rock Express. March 30, 2014 RHP Colby Lewis assigned to Round Rock Express. 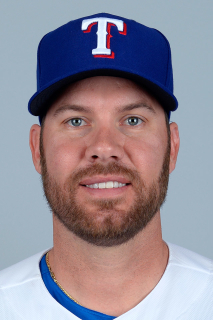 November 23, 2013 RHP Colby Lewis roster status changed by Texas Rangers. November 5, 2013 RHP Colby Lewis elected free agency. October 31, 2013 Texas Rangers activated RHP Colby Lewis from the 60-day disabled list. July 17, 2013 Texas Rangers sent RHP Colby Lewis on a rehab assignment to Frisco RoughRiders. June 6, 2013 Texas Rangers transferred RHP Colby Lewis from the 15-day disabled list to the 60-day disabled list. May 25, 2013 Texas Rangers sent RHP Colby Lewis on a rehab assignment to Round Rock Express. May 19, 2013 Round Rock Express sent RHP Colby Lewis on a rehab assignment to Frisco RoughRiders. May 9, 2013 Colby Lewis assigned to Round Rock Express from Texas Rangers. March 31, 2013 Texas Rangers placed RHP Colby Lewis on the 15-day disabled list retroactive to March 22, 2013. Recovering from July 2012 right elbow surgery. October 29, 2012 Texas Rangers activated RHP Colby Lewis from the 60-day disabled list. August 2, 2012 Texas Rangers transferred RHP Colby Lewis from the 15-day disabled list to the 60-day disabled list. July 19, 2012 Texas Rangers placed RHP Colby Lewis on the 15-day disabled list. Right forearm tendinitis. July 18, 2012 Texas Rangers activated RHP Colby Lewis from the 15-day disabled list. June 26, 2012 Texas Rangers placed RHP Colby Lewis on the 15-day disabled list retroactive to June 24, 2012. Right forearm tendinitis. April 18, 2011 Texas Rangers activated RHP Colby Lewis from the paternity list. April 15, 2011 Colby Lewis roster status changed by Texas Rangers. January 19, 2010 Texas Rangers signed free agent Colby Lewis.